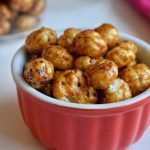 Makhana or phool makhana or fox nuts or Euryale feroxis or popped lotus seeds produced from Euryale Fox plant. 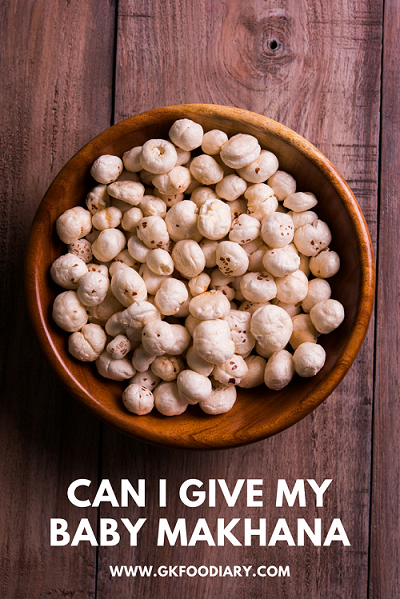 It is a popular snack in India and mainly consumed during fasting. 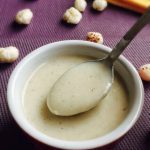 Makhana is a highly nutritious food for baby and kids. Its known for its versatility and can be used to prepare porridge’s, snacks, kheer, curry, rice, raita and more!! 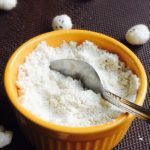 Read more on the health benefits of makhana, how and when to introduce makhana to baby and more about makhana with makhana recipes. When can I introduce Makhana to my baby? 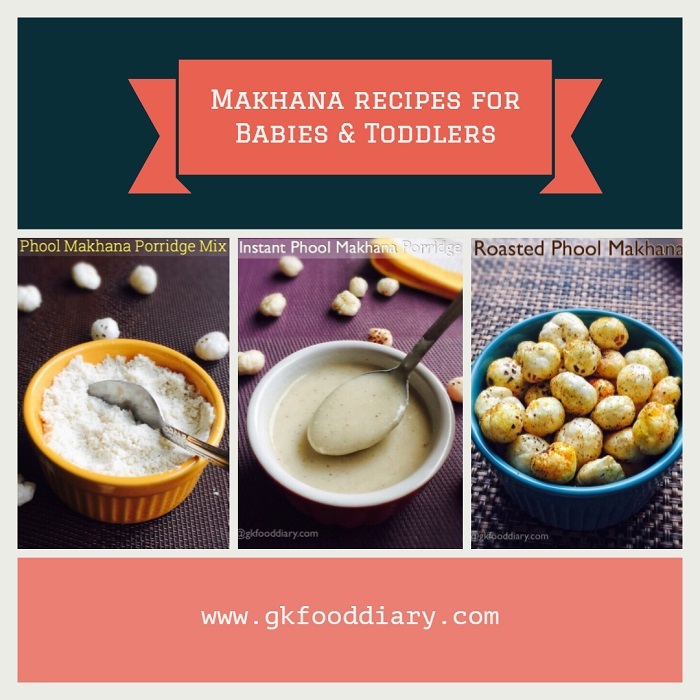 Makhana can be given to babies from 6 months after introducing rice or some basic cereals. 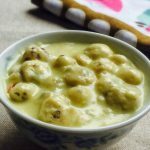 When you introduce Makhana to your baby, you can make makhana porridge with homemade makhana porridge mix. Start with this 1 tbsp of makhana porridge and check whether the baby shows an allergic reaction. 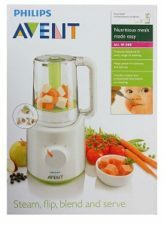 Check it for 3 days and if the baby is not allergic to it, you can increase the amount gradually. 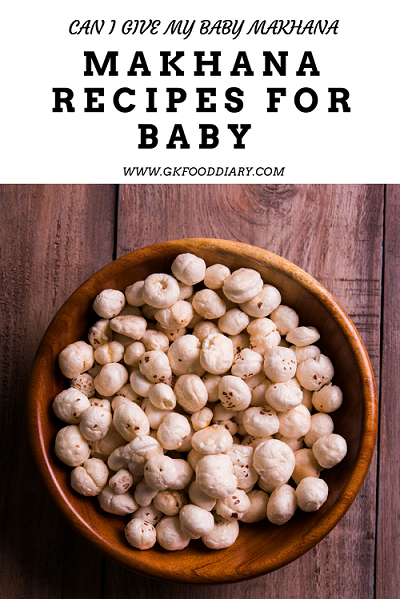 You can also offer roasted makhana as a finger food, once the baby started to chew well. 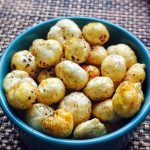 For older kids, makhana can be given in the roasted or fried form. Phool makhana is easily available in markets or online. Check expiry date before buying. Buy organic or reliable brands for the baby if available. Store it in an airtight container in a cool and dry place and use. Always check for worms by cutting makhana before to your baby food. As with any food, always include makhana in moderation in your child’s diet. Makhana is rich in protein. It helps in building muscles in babies and growing kids. Gluten-free and hence less likely to develop allergies in babies. High in antioxidants which helps to prevent major life-threatening diseases and helps in maintaining good health. The high fiber content in makhana helps to prevent constipation in babies and toddlers. Makhana has a good amount of calcium. It strengthens the bones, teeth of growing babies and kids. 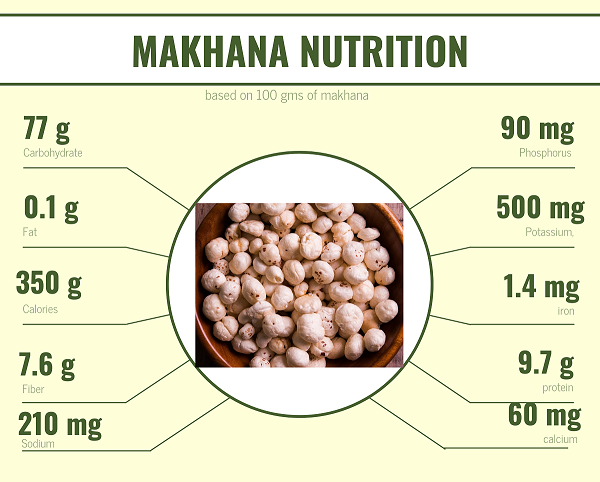 Makhana is good for kidney function according to Ayurveda. So, don’t wait. Start including makhana into your baby’s menu and enjoy the benefits!